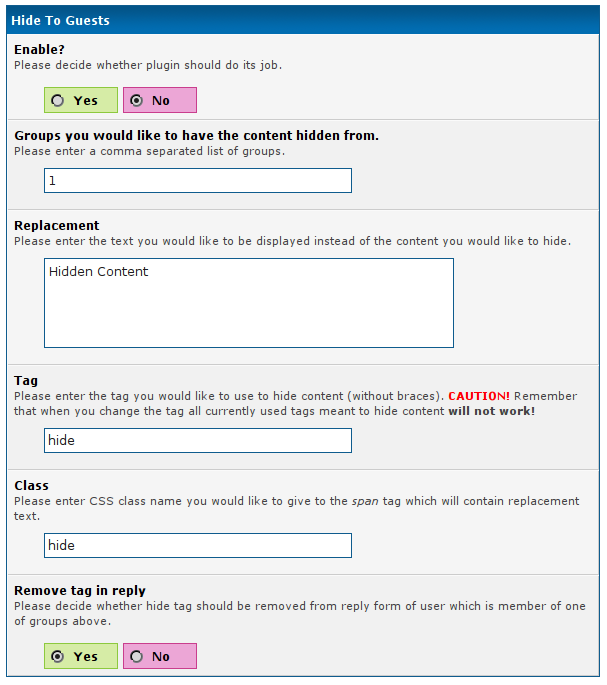 This plugin gives additional MyCode-like tag which hides its content from specified usergroups. Basically that's all. Works also with 1.4 series. This content is hidden from you. 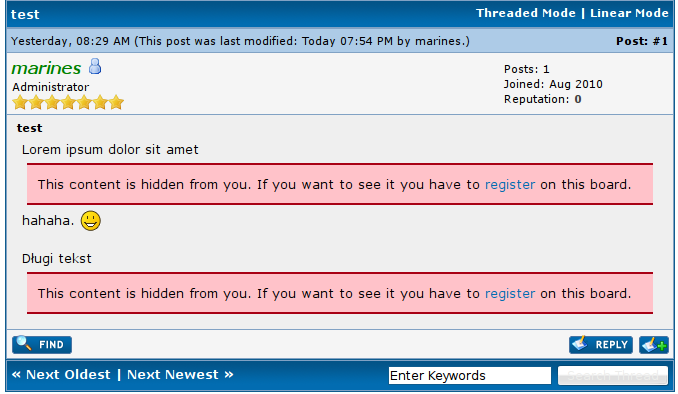 If you want to see it you have to <a href="member.php?action=register">register</a> on this board.